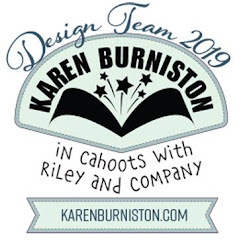 Welcome to our February Karen Burniston Designer Challenge. Our challenge theme this month is .... "LOVE, SWEET LOVE!" - let's add a twist to our usual February love cards and add . . . chocolate! 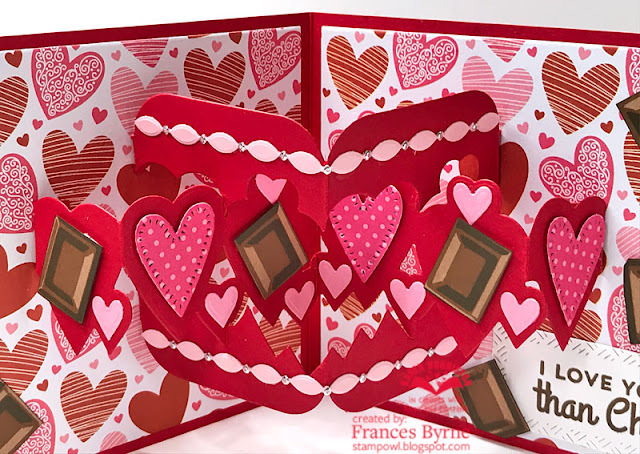 Incorporate a chocolate element into the card. For my card today I used the new Hearts Pivot Panels die set. 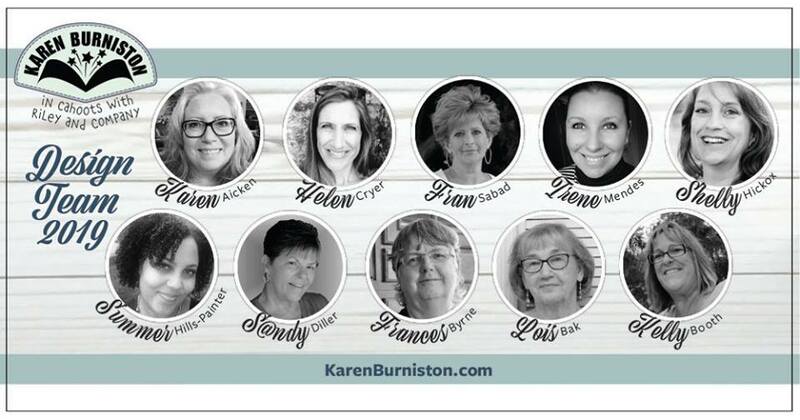 For some time now I have been debating about buying the Kat Scrappiness Layered Chocolate Bar and each time I add it to the cart, I end up backing out. Well once I saw the chocolate portion of this challenge, I knew it was about time I check out and get this stamp set in my hands and I am so glad I did. This chocolate bar looks so real! 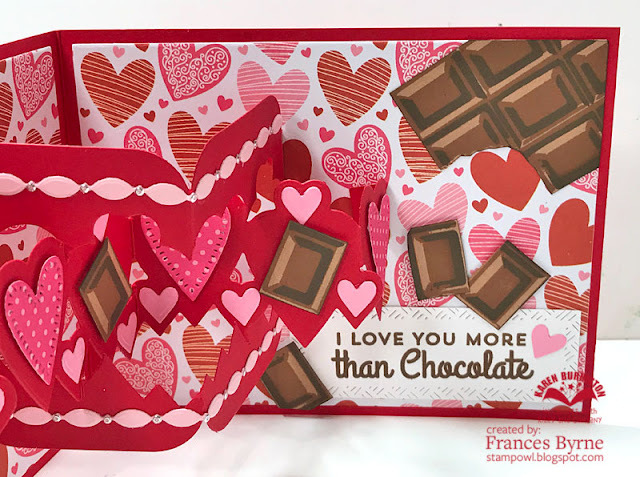 I added two of the chocolate bars to the left and right hand corners of the card and I cut up a few to single pieces to add to the Heart Pivot Panels die and around the sentiment. The chocolate sentiment on the lower right hand corner of the card is an old retired stamp set from MFT Stamps I have had in my stash for years. I layered the sentiment onto a rectangle panel using a rectangle die cut using the Crosshatch Rectangles die set. This rectangle is actually a larger rectangle, but I carefully put the rectangle back into the die to shorted the height of the rectangle. I also trimmed part of the edge so that the rectangle fitted in the corner easily. 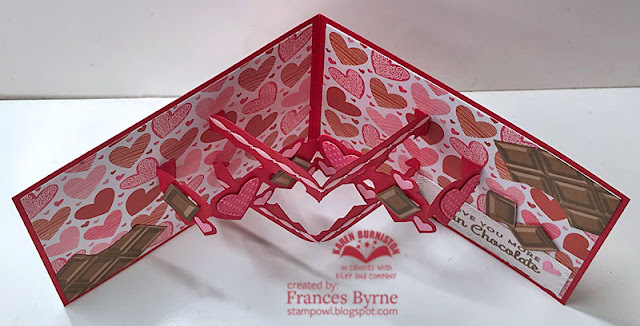 Here is a close up of the Heart Pivot Panels section of my card. 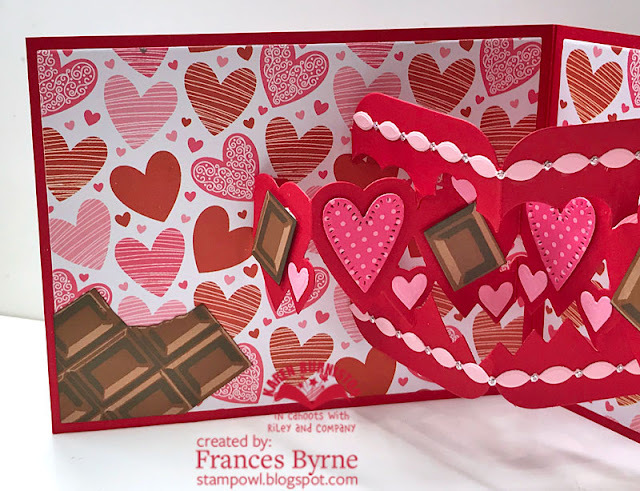 I alternated some polka dot hearts and chocolate in the large heart areas of the panel. I also added a border using the Border Blends -- Party die set. Here you can see an overhead view of my card. For the front of the card I added a few more individual chocolate pieces to the bottom of an oval which was die cut using the Crosshatch Ovals die set. 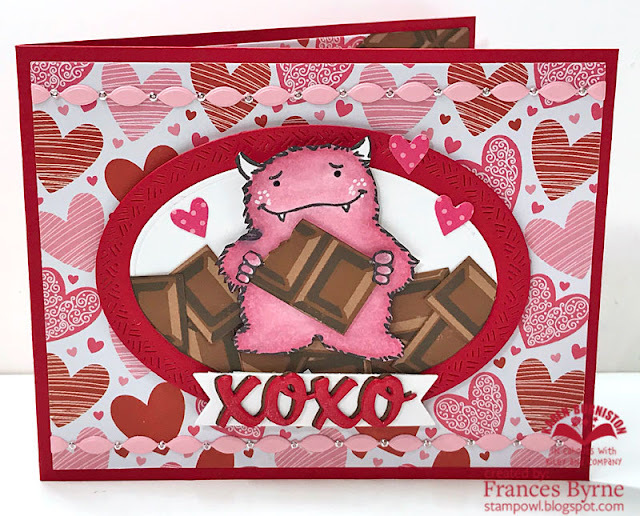 I also added some chocolate to the hands of the cute monster from Concord & 9th's Monster Love stamp set. Along the bottom of the oval I added the XOXO sentiment which is from the Word Set 9 - Love die set and layered using the fishtail banner from the Upsy Daisy Pop-up die set. To finish off the front of the card I added a border to the top and bottom of the card using the Border Blends - Party die set. 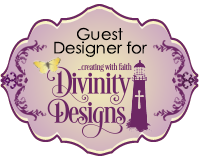 You are a consummate, artistic and skillful card maker! Love all the ideas with which you come up. 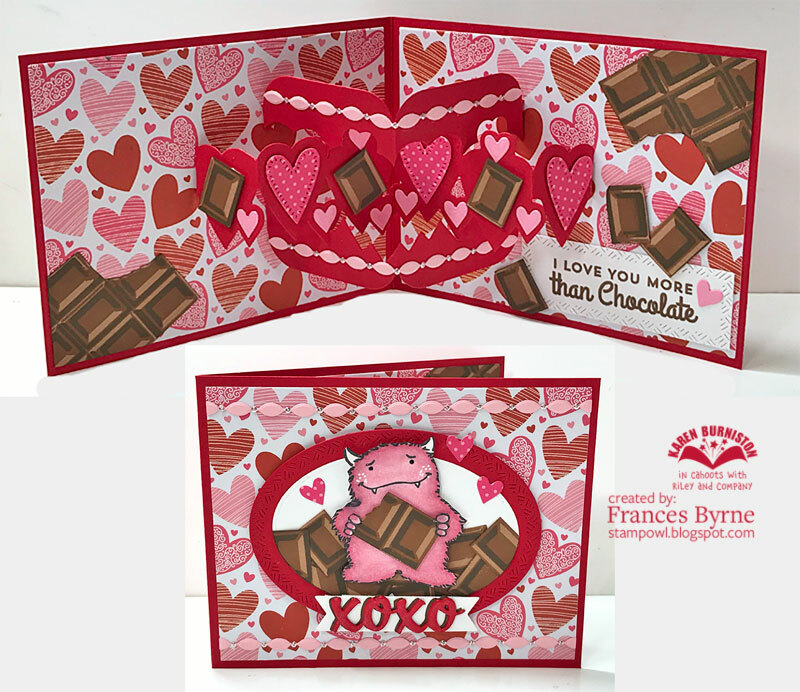 Such a cute card - love how you used that cool chocolate stamp!